for a variety of environments. 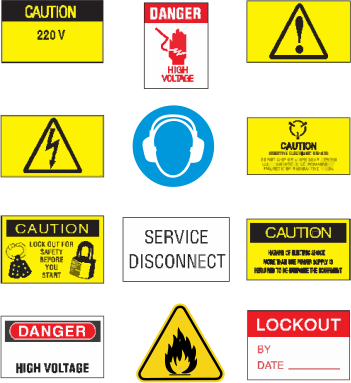 ​Engraved labels, cable labels or equipment labels. Imprint Plastic can produce to your exact requirements. ​Need switchboard labelling, instrumentation panel identification, control panel and data centre labelling? An almost infinite range of sizes, styles and colours. ​Print one or print thousands. Any shape, any colour on almost any material. ​Imprint Plastic’s industrial tags are made of high performance, durable materials that can withstand harsh environments – both indoors and out. ​Think asset management, hazard warnings, valve identification, equipment instructions, accident prevention and more. ​Any quantity, any shape, any colour on almost any material. ​Imprint Plastic’s custom signage and visual aids support any manufacturing and safety need. We produce to your specific requirements and can provide solutions for the most unique of scenarios. Utilising recent technology, innovative design, experienced and knowledgeable staff, we are well equipped to provide solutions. From digital printing, computer cut vinyl and sign fabrication we help you ensure your requirements are realised. No Obligation FREE Quotes. Whether you are an individual trader, corporate or government department, Imprint Plastic can help you create and maintain safer work environments. Complete custom label, tag and signage solutions.